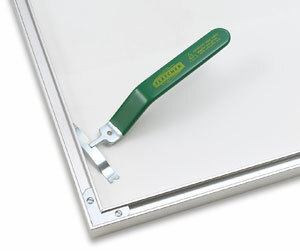 The Fletcher SpringMate makes inserting and removing spring clips from metal frames easy. Just slip slotted end of the SpringMate over the spring and twist to flatten spring to insert or remove from frame. ® Fletcher is a registered trademark.™ SpringMate is a trademark.